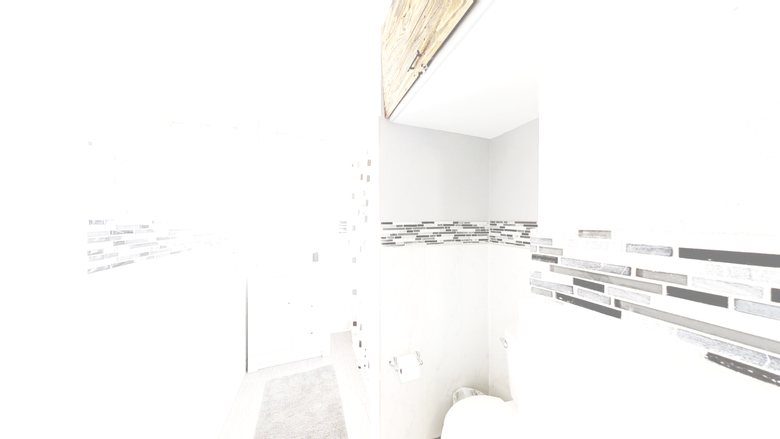 I would like to know how other MSPs are dealing with the obvious change Matterport processing that is supposed to balance the interior and exterior lighting better. In my opinion this attempt by Matterport is a complete failure. I am constantly getting lens flares and overexposed scans. I have had to rescan areas in 3 properties so far just to try and correct the problem by eliminating as much outdoor light as possible. Another property was completely un-useable and the whole thing had to be re-shot. I sent in a support ticket to Matterport but haven't got an answer yet. This experiment on the part of Matterport is costing time and money and in one case a new client. @rpzphotoman Yes I’ve not been liking it either. You need to take so many extra scans because one will be unusable either because as you say or it is got some funky colour cast so the cupboards or walls look a completely different colour. I’ve even been wondering about not turning on lights because of halos around them. I did contact Matterport about it and they said it was a known issue they were working on. It has got a bit better but not nearly enough. It’s really bad with the BLK. @HarlanHambright Did you contact Matterport and did they give you the same response? Dee says they’re working on it. Why don't they just revert to how they were processed prior to. I haven't done a scan since this change and about afraid to. These things are difficult to explain to a home seller when we have touted it as the latest and greatest. @HarlanHambright I've heard for quite a while now. How many bad scans do we have to suffer through till they figure it out? Please Matterport, revert back to the old processing and quit experimenting on our scans. This should be cause for outrage from all MSPs. Matterport needs to be flooded with complaints about this until they hear us. Here is the reply I just got from Matterport regarding the overexposure issue. Basically their telling us, to bad but thats the way it's going to be and if you don't like it try fixing it yourself with a third party app...WTF! Thanks for reaching out with your feedback. I don't believe at this time there are any plans to change the processing engine to the way it was a year ago. That said, we did try to fix the overexposure in windows that was concerning some customers. Unfortunately, that fix did not work out as planned and we did end up reverting to the way things were about a month ago. If this is still considered overexposed to you, I really am sorry, but as mentioned, I don't believe they plan to go back any further at this point. A reshoot will not help, especially if the lighting condition is no different. The problem is not in the camera's firmware or the images captured, but as you said, in the processing engine. You may be able to use MP Embed to correct the issue. It's a 3rd party tool and many on our Facebook group, MOUG, can help you with that if you have any questions. I'm very sorry for the inconvenience. Please let me know for which models the clients are refusing the product and I'll see if there's anything we can do. I had to respond to Matterports response. I would encourage everyone to do what Amir at Matterport suggested...send them all of your bad scans and see what they can do about them. If they can fix the few I sent them I will be sending all the other ones I have. This may be the new work flow we're going to need to implement into our processing. All I can say is WOW! Your answer is just amazing. Basically telling us we’ve changed the processing engine, we know it looks bad, but we’re going with it anyway and if you don’t like it, try using a third party app to fix all your problems. I’m guessing Matterport will not be issuing refunds on scans that are unusable that you are unable to fix. If I’m wrong, please let me know. That is not what any MSP ever signed up for. I will post this answer on the WGAN forum and others are up to date on your final decision to this problem. Many MSPs have been waiting for a fix. I have a feeling they will not be happy with this response…but we’ll see, maybe I’m wrong and everyone loves loosing clients and re-scanning half their jobs now. Since Matterport already has a reputation of not supporting their MSPs, this will just strengthen that opinion. I’m sure you’re also aware that the issue is even worst when using the Leica BLK camera. I sure they're thrilled their clients are having these issues with their $16,000 plus camera. I hope Matterport will re-consider and fix this horrible problem and give us what we signed up for. The first 2 scans below are from one project. I have about 15 more individual scans on this job of different sections of the complex. Just about everyone has an issue like these 2. Re-scanning is not an option because they hired a professional stager to stage the entire facility for the scans. On top of that, because this is a Memory and Alternative Care facility, all work had to be completed between 6:am and 7:30 am before the residents started moving thru the facility. The job was done over 4 days. You have no idea what a nightmare this for me just trying to get my business of the ground. Problem…blue color banding on many overhead lights. Client want’s to know why we changed their light fixtures. I had no answer. I could go on and on. Can Matterport understand how bad this makes all of us look! I will encourage other MSPs to forward you their problem scans so you can see what you can do for them like you suggested. The bottom line is, I went all in with Matterport because I was so impressed with the product. That was just last January. Today, you are a completely different company. I could live with all the other well known issues like the TOS uproar, the fact that you actually take our clients info and try to sell them a camera so they can then compete against us, but now basically destroying half our work without a care is a step to far. So many MSPs feel they have no representation anymore at Matterport and this is not helping that situation. I am praying that Matterport will re-consider. I too purchased my camera and new Ipad to support it early this year . I used the fact that I was doing Matterport on all my listings to differentiate myself from the herd. Now, I'm afraid to promote it, worried it will make me look bad. Just the opposite of what I was trying to accomplish. Matterport needs to address this soon or they could quickly end up a has been and we end up with worthless cameras. @BrokerBruce Please let Matterport know your concerns...hopefully they will hear us and do something. I will be holding on my research and possible purchase until I know this will not mean problems for my business. I have pinned this discussion to the top of the WGAN Forum until Matterport addresses over-exposing issues to your satisfaction. Everybody needs to see Matterport's response to this problem and hopefully voice their concerns. Everyone visiting WGAN to buy a Matterport camera will see this post first. I could imagine the Matterport sales team lobbying to get this issue fixed. Here is the response to my letter to the Matterport rep Amir. Question: Is it worth fighting this or time to start looking for another option? I understand your frustration, Ross, and I'll be sure to pass on your feedback to the product team. Matterport has always been a fully automated processing system, which has its advantages and disadvantages. One disadvantage is the inability to manually photoshop every pano. That said, we do try to improve the image quality of the processing engine's output by looking at as many different scenarios and lighting conditions as possible. These are great examples of where we can improve the image quality, so I really appreciate you sharing them. The BLK is very different hardware and designed for a very different purpose. We've done a lot of work to greatly improve the image quality of the BLK, but I would not expect it to get to the quality of the Matterport camera for the same reason I wouldn't expect a phone to have the same color and dynamic range as a DSLR. They're just two different animals. After all, even Canon and Nikon after decades of R&D still have differing opinions on what the right color should be. We do take your feedback very seriously and absolutely want to provide you with the best quality possible. These examples are helpful and I would like to hear more if you have other examples. Please provide deep links so I know exactly what you're referring to within the model and being as specific as possible is very helpful as well. Unfortunately, saying, "Problem...Everything," isn't as helpful because I can't translate that to the product team so they know exactly what needs to change. Thank you for sharing this response from Matterport Customer Support. @rzphotoman is a professional photographer of many years. The feedback he is providing Matterport is invaluable. If Matterport wants to continue to sell Matterport cameras to professional real estate photographers, they need to act quickly to resolve his - our - imagine quality concerns. This is one I just posted on the MOUG Facebook... the scan was done at about 5PM on an overcast day. The client had to be refunded of course. @immersivespaces, Did you forward this to Matterport support? I'll be curious to know how they respond to this if you did. @rzphotoman Yes, I'm still waiting on a response. I just filed this same complaint with Support, and got the same "Don't call us, we'll call you" response. In my opinion, this is the problem when you create a system that is "idiot proof" in terms of the photography. In order to make it usable by a large demographic, they have made the photography so bad in so many situations, it's basically unusable. It would be nice if we at least had the option to "dial back" the brightness and reprocess. I'm really considering switching to CUPIX using Theta (lower cost) or DSLR Pano (higher cost) for quality jobs, using Matterport only when called for. I'll keep the Matterport for contract jobs (Wedding Wire and others), but not focusing on it. Why should I? They're certainly not focusing on me. I have used the Theta V and was not happy with the quality. Maybe there is something better?? ?